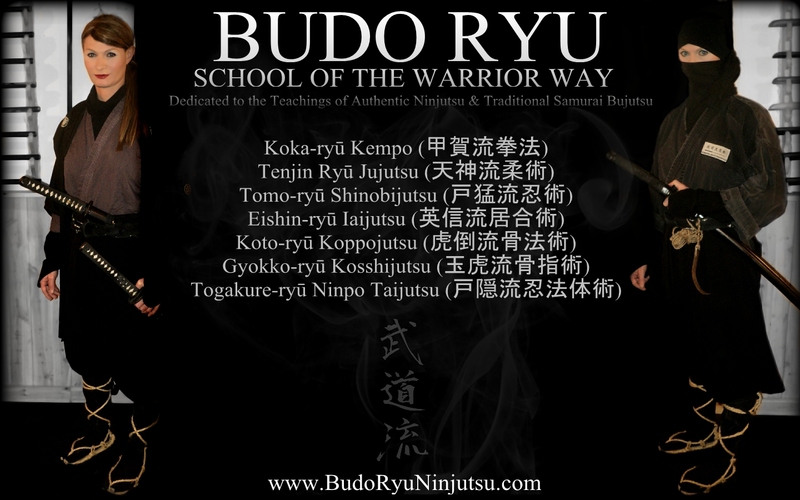 In December of 2012 the Budo Ryu held a Tenchijin ryaku Kuden training event. The Tenchijin is the basics of Togaure-ryu Ninpo Taijutsu. The Ten Ryaku no Maki (Heavenly Strategy Book) consists of Taihenjutsu Ukemi Gata (rolls, breakfalls, leaping) where one discovers means of using the body to fall safely. From there, Kamae (postures/attitudes) are studied and applied with taihenjutsu. The core of our training is then started by the Sanshin no Kata (Three Heart Forms) which teaches the body solo movement work. Another portion which creates our foundation is the Kihon Happo (8 Combat Forms) which teaches our body to work with a partner. From there, we study Muto Dori Gata (Empty Handed Sword Evasion) which focuses on putting all of the above training together and escaping from three basic sword cuts. The Chi Ryaku no Maki (Earthly Strategy Book) consists of Hajutsu Kyuho (nine grab escapes/break out methods) where we begin looking at escape methods from a variety of grabs, throws, kicks or punches. After a firm understanding of the Kihon Happo, a more indepth study is applied to Gyaku Waza (reversal techniques), Nage Waza (Throwing Techniques) and Shime Waza (Choking Techniques). The Jin Ryaku no Maki (Man Strategy Book) consists of Suwari Gata (sitting forms) where one begins learning to use the above mentioned while in a seated posture. Katate Dori (counters to single handed grabs) and Ryote Dori (counters to two handed grabs) are then studied to prepare for Haibu Yori (defending the rear) where we defend ourselves against attacks from behind. Tsuki Uchi (counters against punching attacks) covers basic means of dealing with punches and is completed with Keri Ni Taisuru Uke (counters against kicks). Growing in the training, the student moves to Tsuki To Keri Ni Taisuki Waza (counters to punch and kicks) which utilize dealing with these combo attacks. Nage Kaeshi (throw counters) studies the means of throwing the one trying to throw you. Finally, we go back to Muto Dori Gata and apply all of the Strategy Book techniques into dealing with the attacking blade. The time of talk, is in the past. Cowards and those of low skill and rank will dishonor themselves and the arts as they attempt to manipulate others opinions never showing any high level of skill, high level of strength or high level of ability in the warrior traditions. A true master will let actions speak louder than words. They simply open the door and show you the way. 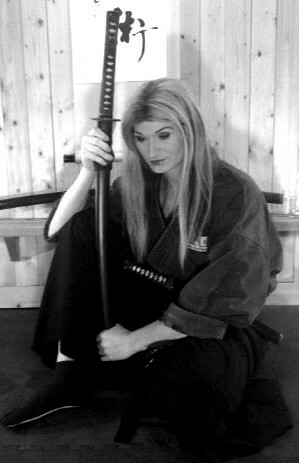 Do you want to learn authentic ninjutsu & samurai bujutsu? 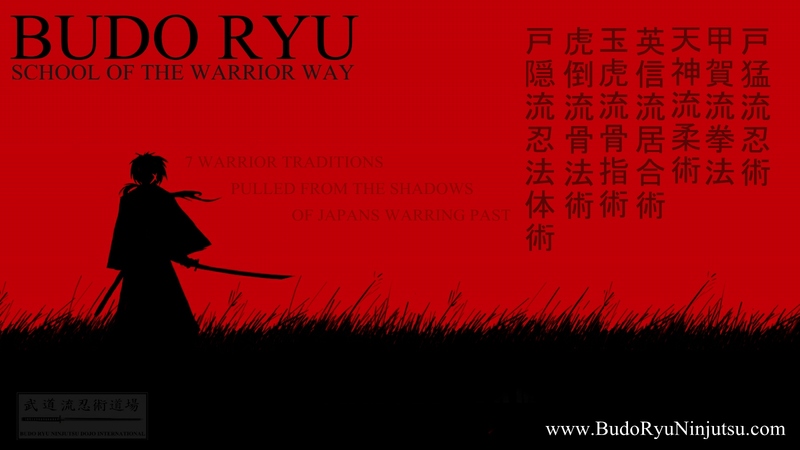 Than start your training today with a school that will truly show you the way of the warrior.